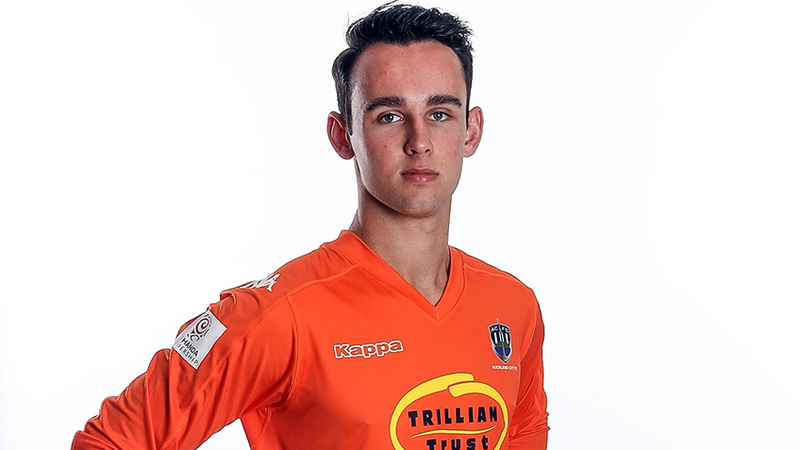 AUCKLAND, New Zealand - Early goals from Thomas Drillien and Jackson Woods help guide the Junior Navy Blues to a second win a row against Southern United in the National Youth League. The youth team marksman coolly finished beyond the Southern United goalkeeper after just four minutes while Woods strike on the quarter hour mark from an expert cutback from Danush Chandra handed the Camilo Esperanza-coached team a comfortable lead. The visitors could've extended their advantage further when Justin Bailey hit the Southern United crossbar with a long range effort. First team midfielder Yousif Ali was also integral and saw a strike on goal rebound off the post. Auckland City FC's afternoon in the deep south took a nervy twist when the home side were awarded a penalty kick with five minutes to play only for Cameron Brown to pull off a remarkable save to maintain a clean sheet. Brown, who received a late call-up to the Auckland City FC first team squad at last year's FIFA Club World Cup in Abu Dhabi last year, was in good form. Coach Speranza was pleased with the result and aspects of the performance. "We played a really good first half and controlled the speed of the game, always finding free players in the middle of the park and out wide. "Whenever Southern tried to press we found the space behind their back line. We kept dominating the game and had chances to maybe score one or two more goals. "The weather conditions were changeable today with a swirling wind and that made it really hard for us to keep controlling the game in the same way we did in the first half. "I was happy with the effort of the whole team who showed huge composure and maturity by overcoming a lot of adverse circumstances today. The Junior Navy Blues next match is at the Croatian Cultural Club on Saturday 3 November in West Auckland. The match kicks off at 12pm NZST. 86'), Brad Wilson (Macaiah Papa 70'), Justin Bailey, Thomas Drillien. Sub Not Used: Sam Bottomley (GK).